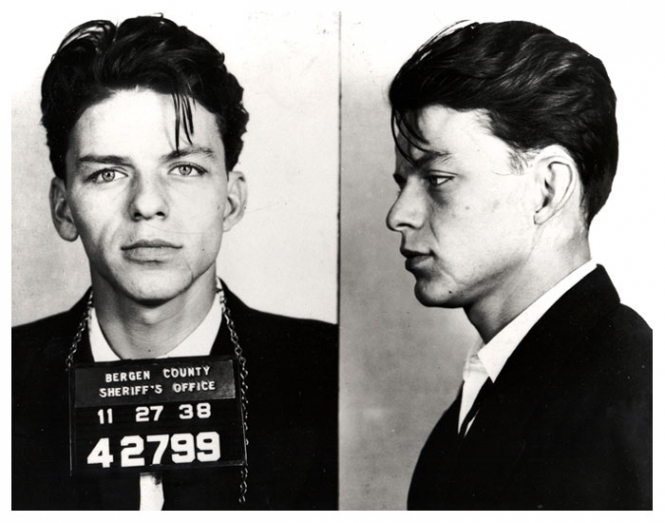 Frank Sinatra was arrested by the Bergen County, New Jersey sheriff in 1938 and charged with carrying on with a married woman (yes, you could get popped for that back then). The charge was later changed to adultery, and eventually dismissed. Submitted by roydawgg on Thu, 2010-10-28 01:58. Submitted by AFVetgrrl84 on Sat, 2011-05-21 22:02. Submitted by roydawgg on Thu, 2010-10-28 01:56.
i dont think this lady was a "luck be lady"
Submitted by lmowery on Mon, 2010-10-04 15:05. Submitted by Shelly Shores on Tue, 2010-08-31 05:29. I can't believe this scrawny, short kid was a lady killer! Submitted by Watsons Pills on Mon, 2011-04-04 23:13. Only in Jersey, You got a problem wit dat?